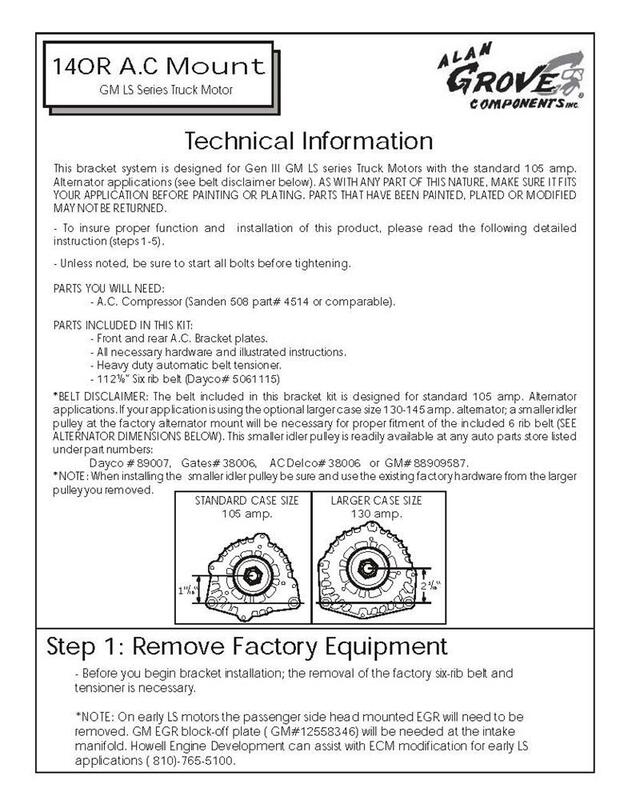 Essential Performance Compressor Upgrade Kit for those with a Gen III Truck LS/LS1 F-Body Engine conversion and factory air conditioned Camaro. 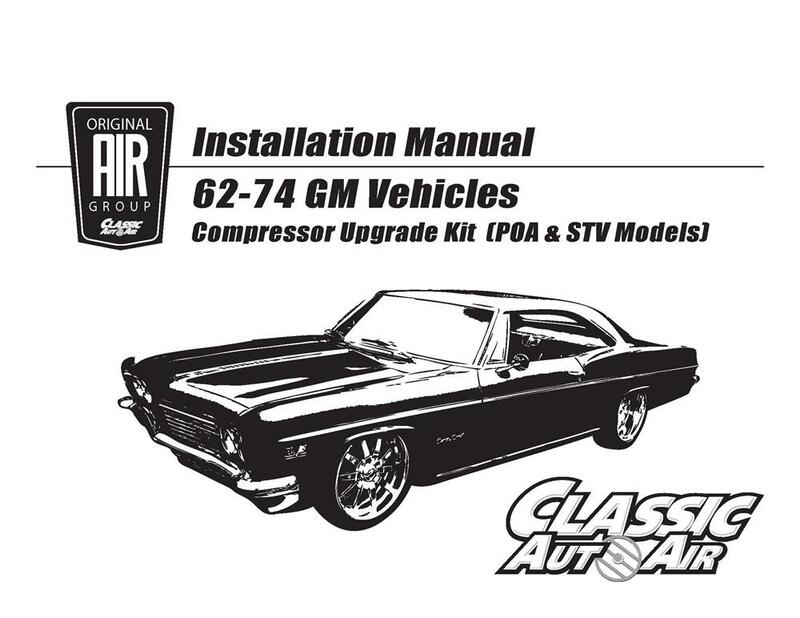 Our Stage 1 A/C Performance Upgrade Kit is the essential solution if you are looking to use a standard size rotory compressor with your Gen III Truck LS/LS1 conversion in your factory air-conditioned Camaro. Affordable alternative to locating and replacing individual parts. 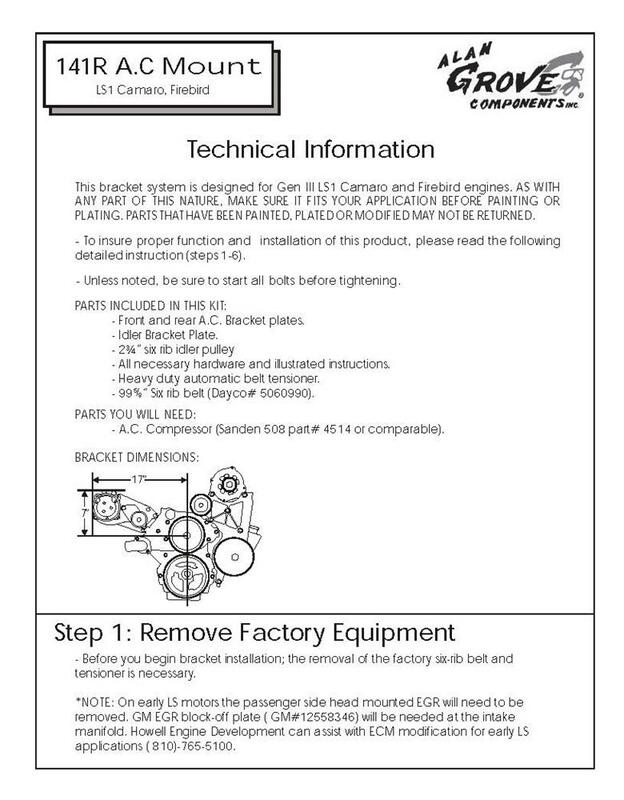 * Generation III LS truck engines were built from 99-07 and came 4.8, 5.3, and 6.0 Configurations. *F Body LS1 engines were used in 98-02 GM F-Bodies. This DOES NOT FIT VETTE LS1 Engines. *This kit uses a low profile mount in conjuction with factory accessories. See Mount Instructions for details.